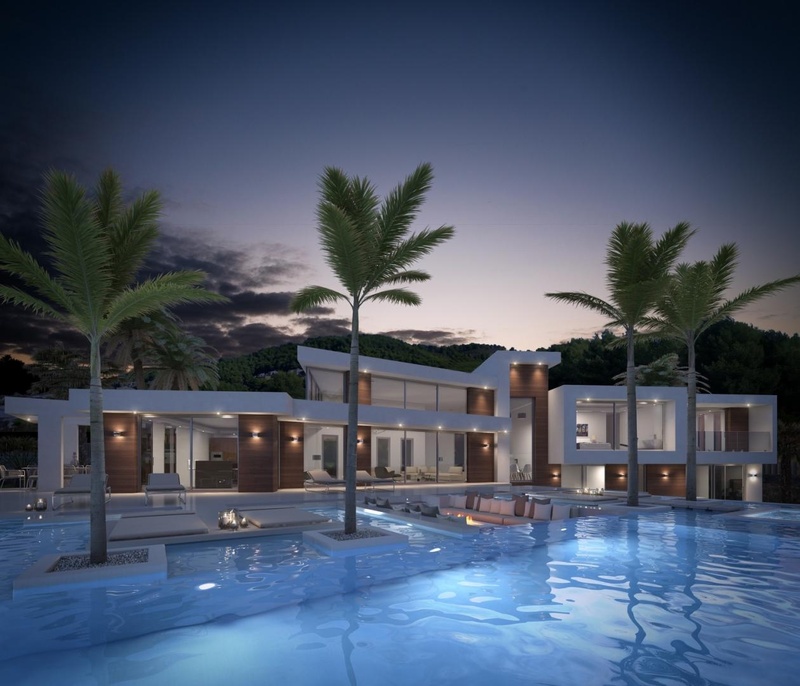 The house has a very particular layout, it´s divided into 3 levels connected with an elevator and on each floor there is a nice terrace with views and spaces to relax. There are several zones of gardens of easy maintenance. The main entrance is on the highest floor, which is accessed through a parking for several cars and a garage for two cars. Here there is an open terrace of 100m2. 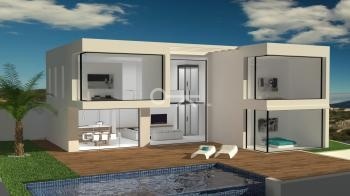 On the first floor there are 3 bedrooms en suite with 3 bathrooms and fitted wardrobes. On that floor there is a terrace of almost 40m2. The ground floor is distributed between a large living room with open kitchen, 1 bedroom and 1 bathroom. On the 129m2 terrace there are spaces to have a nice meal outdoors or to rest, barbecue, porch and you can also enjoy a nice pool and jacuzzi. In the basement floor there is a cellar, 1 bathroom, laundry, rooms of the facilities and a diaphanous space of 47m2 for various uses.